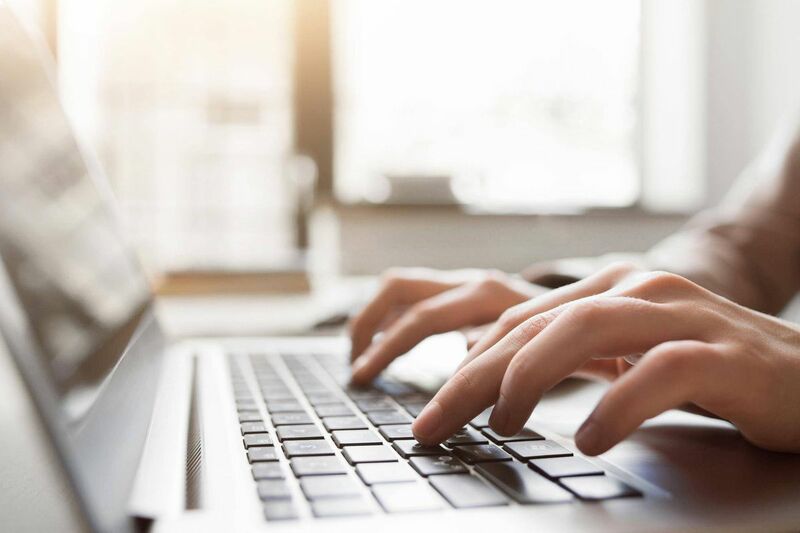 According to a draft copy of the application, the proposal envisions an agency that would evaluate applications identifying piracy sites and make recommendations to the CRTC on sites to block. A broad coalition, including Canada's biggest communications and media companies, a swath of creative and production organizations and unions, movie theatres and the CBC, is calling on the federal telecom regulator to create a website-blocking system to address online piracy. The coalition, which calls itself FairPlay Canada, filed an application with the Canadian Radio-television and Telecommunications Commission Monday after months of discussion and organization. It proposes that the CRTC establish an independent agency to "identify websites blatantly engaged in content theft" and subsequently require internet service providers (ISPs) to block subscribers' access to those sites. According to a draft copy of the application reviewed by The Globe and Mail, an "Independent Piracy Review Agency" envisioned by the proposal would evaluate applications identifying piracy sites and make recommendations to the CRTC on sites to order ISPs to block. The group says the owners of such sites would be entitled to object through the application process and would also have recourse to judicial review by the Federal Court of Appeal. The proposal comes in response to a proliferation of piracy services, some of which charge monthly fees and offer user-friendly interfaces over the web or on set-top boxes preloaded with software that allow easy access to pirated content. And it comes at a time when more Canadians are ditching their cable subscriptions – CRTC data shows that from 2012 to 2016, cable, IPTV and satellite subscriptions as a whole declined by more than 400,000 even as the population has grown – cutting the cord in favour of online streaming services such as Netflix, or free, illegal versions, costing traditional TV companies millions in revenue. Live sports, one niche that continues to draw viewers to traditional cable, is also susceptible to piracy, prompting Maple Leaf Sports and Entertainment Ltd. to join the coalition as well. FairPlay Canada says the aim is to protect jobs and contributions to the Canadian economy and argues that existing laws are inadequate to address piracy in the fast-moving online world. But reports of an early version of the proposal have already attracted critics, who say it is an unnecessary threat to net neutrality, the principle that ISPs should treat all content and information that flows over their networks equally. While the U.S. Federal Communications Commission recently voted to repeal Obama-era rules protecting net neutrality, Canadian politicians and regulators have pledged support for the principle, which is enshrined in telecom legislation barring internet providers from giving themselves or anyone else an "undue preference." Such criticism is likely to raise particularly difficult questions for coalition members that operate vertically integrated businesses, meaning they own both content and telecom operations. This includes three of the country's five largest ISPs: BCE Inc., Rogers Communications Inc. and Quebecor Inc. Still, the coalition, which was founded in part by BCC-owned Bell Media, has attracted more than 25 companies and groups willing to publicly pledge support for the proposal, and many of them insist they respect net neutrality, arguing the principle does not extend to illegal content. "The coalition was formed to target shady offshore organizations and pirated behaviour," said Erin Finlay, chief legal officer at the Canadian Media Producers Association. "It was important to everyone involved that a broad, united front went forward." "As with any issue, there may be a small, vocal group who raises spurious arguments that have nothing to do with this application," she added. "The coalition members fully support the principle of the free flow of content over the net. What we're trying to do here is stop illegal acts of online piracy that deny Canadians fair compensation for their work." ISPs involved in the FairPlay coalition say they believe the proposed system respects net neutrality. "Internet service providers remain entirely neutral. They have no independent choice regarding which sites to block. That power rests entirely with the CRTC and the oversight of the courts," said Cogeco Communications Inc. spokeswoman Nancy Bouffard, adding that other jurisdictions including the United Kingdom and Australia use a similar system. Representatives for BCE and Quebecor offered similar statements emphasizing that ISPs themselves would have no role in determining which sites to block. "We fully support net neutrality and the free flow of legal content on the internet. This balanced proposal is about stopping illegal acts of piracy to support Canadian programming and Canadian jobs," Rogers said in an e-mailed statement. The federal government is refusing to take a firm position on the coalition's plan, preferring to wait for input from the CRTC and upcoming legislative reviews. Innovation Minister Navdeep Bains said in an interview Monday that Ottawa will continue to privilege "net neutrality" as a guiding principle, while acknowledging the challenges faced by the purveyors of legal content on the internet. Mr. Bains said that upcoming reviews of the Copyright Act by a parliamentary committee, and of the Telecommunications Act and the Broadcasting Act by a panel of experts, will be able to offer recommendations to deal with the issue of piracy. "We are very open, through this process, to engaging and having those conversations. But at the same time we have been very clear about our position on open internet and net neutrality, and that is a position we will not waver on," Mr. Bains said. A CRTC spokesperson declined to comment on the proposal. Coalition members say that although piracy is illegal, it is almost impossible to combat with the drawn-out process of going to court. "The problem is not easily addressed because of its borderless nature, and because it relies on the anonymous and global nature of the internet, where pirate operators disguise their true identities," said Corus Entertainment Inc. spokeswoman Dervla Kelly. Corus is controlled by the Shaw family, who also control Shaw Communications Inc., the country's third-largest ISP. Shaw itself is not part of the coalition. Telus Corp., which is Canada's fourth-largest ISP but owns no media operations, is also not part of FairPlay Canada. Some of the country's biggest media companies did take the issue to court with some success. Concerned about the loss of television subscribers due to pirated content, BCE, Rogers and Quebecor-owned Videotron joined forces in 2016 and won an interim order blocking the sale of digital set-top boxes that come loaded with applications designed to deliver easy access to copyright-protected TV shows and movies. Nuria Bronfman, executive director of the Movie Theatre Association of Canada, says piracy has been a major problem for the theatre business since the days of camcorder recording. "I understand that there is a copyright law. It is illegal to stream this content online, to illegally obtain content. But it's not necessarily moving the needle for us, because of the sophistication of the technology," she said. "These illegal websites can be shut down and crop up again. We're looking to identify the websites and make sure that they're shut down as quickly as possible." The application to the CRTC cites a report by MUSO, an anti-piracy data collection and analytics company, which found that last year there were 1.88 billion visits made to piracy sites from Canada. "Piracy is a large and growing problem that threatens the massive employment, economic and cultural contributions of Canada's film, television and music industries," the application states. University of Ottawa law professor Michael Geist, who criticized the proposal when an earlier version of it surfaced in a report by the website Canadaland, says the data on piracy is "decidedly mixed," arguing in a blog post that a study by networking-equipment company Sandvine Inc. found just 7 per cent of Canadians use tools to access unauthorized content online. He criticized the proposal, saying it is anti-free speech and said copyright holders already have an alternate method of addressing the problem by going to court to get a "takedown order," which would require search engines to remove links to infringing sites from search results. Mr. Geist has also argued the CRTC itself says the law only permits blocking of websites in "exceptional circumstances," and those must relate to telecom policy objectives, not compliance with copyright law or broader cultural aims. Internet advocacy group OpenMedia has also come out against the website-blocking proposal, saying it would result in "sweeping internet censorship" and starting an online petition against the plan. "Everybody agrees that content creators deserved to be paid for their work. But the proposal from this censorship coalition goes too far," OpenMedia executive director Laura Tribe said Monday. But the coalition also has defenders, such as copyright lawyer Barry Sookman, a partner at McCarthy Tétrault LLP, who argued in a recent Globe and Mail op-ed that at least 27 other countries, including Britain, France and Italy, use website blocking to combat piracy. According to a press release, the full list of FairPlay Canada members includes the Academy of Canadian Cinema and Television, the Alliance of Canadian Cinema, Television and Radio Artists (ACTRA), the Association québecoise de l'industrie du disque, du spectacle, et de la video (ADISQ), the Asian Television Network (ATN), the Association québécoise de la production médiatique (AQPM), Bell, the Canadian Association of Film Distributors and Exporters (CAFDE), CBC/Radio-Canada, Cinémas Guzzo, Cineplex, the Canadian Media Producers Association (CMPA), Cogeco Connexion Inc., Corus Entertainment Inc., the Directors Guild of Canada (DGC), DHX Media, Entertainment One, the Ethnic Channels Group, Fairchild Media Group, the International Alliance of Theatrical Stage Employees (IATSE), Landmark Cinemas, Les Cinémas Ciné Entreprise Inc., Maple Leaf Sports & Entertainment Ltd. (MLSE), the Movie Theatre Association of Canada (MTAC), Quebecor, Rogers, Television Broadcasts Limited (TVB), the Toronto International Film Festival, the trade union Unifor and Union des artistes (UDA). The proposal comes after many of Canada's biggest ISPs have already been critical of the concept of website blocking. The Quebec government proposed legislation in 2015 that would force ISPs to block access to certain gambling websites, stating it would help divert revenues from "unauthorized" gambling sites to Espacejeux, a website run by Loto-Québec. The government agency itself would create the list of unauthorized sites. The Canadian Wireless Telecommunications Association – a lobby group whose members include BCE, Rogers and Quebecor – launched a court challenge to the Quebec legislation in 2016. With files from Daniel Leblanc in Ottawa.